The Philippines is touted as Pearl of the Orient Seas. It is a country with 7,107 islands. It has a total 36,289 kilometers of coastlines – almost twice that of the United States. It is no wonder the Philippines is home to several seaweed species, of which 893 species have been identified so far. “(Our country has) 197 species in 20 families for green algae, 153 species in 10 families for brown algae, and 543 species in 52 families for red algae,” pointed out Dr. Marco Nemesio Montaño, of the Marine Science Institute of the University of the Philippines-Diliman, during a seminar on Enhancing Marine and Agricultural Products through Biotechnology some years back. Globally, there are over 9,000 species of seaweed divided into three major types: green, brown, and red. Red is the most species-rich group (6,000) followed by brown (2,000) and finally green (1,200). Now, the good news: Scientists at the Philippine Nuclear Research Institute (PNRI) have developed the Carrageenan Plant Growth Regulator (CPGR) that increases rice yields, an excellent natural fertilizer and prevents major diseases in rice and other crops. Studies conducted by PNRI showed that when carbohydrate from carrageenan is reduced to tiny sizes by a safe technology process called irradiation, it can be an effective growth promoter and makes rice resistant to major pests. In fact, at very small doses, it is an effective organic fertilizer. “When adopted by farmers, the new technology may boost rice production of 18.97 million metric tons, a record high, according to the Department of Agriculture. The boost in production is attributed to the three percent improvement in the average yield per hectare, which increased from 3.89 million per hectare in 2013 to 4 million tons per hectare in 2014,” said PNRI’s Dr. Lucille V. Abad. 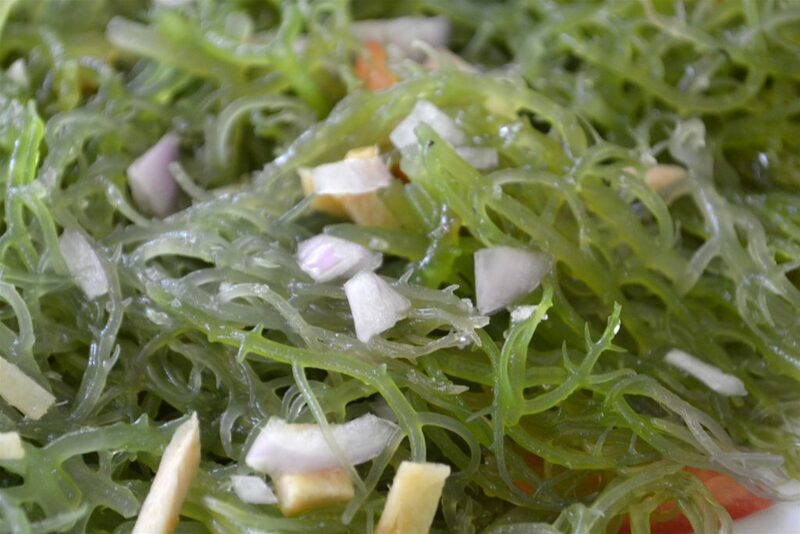 The PNRI collaborated with the Philippine Rice Research Institute (PhilRice) and the University of the Philippines at Los Baños (UPLB) in conducting the carrageenan research with funding from the Department of Science and Technology (DOST). In a field trial conducted in Bulacan by the research team using CPGR, rice yield was significantly increased by 63.6 – 65.4%. “This treatment provided higher grain weight (of 450 grams and 455 grams, respectively) compared to traditional farmers’ practice of applying nine (9) bags of fertilizer per hectare that yielded only 275 grams,” said Dr. Gil L. Magsino of UPLB’s National Crop Protection Center. Application of six bags of fertilizer per hectare plus 200 parts per million (or 20 milliliters) of carrageenan is more or less comparable with the application of just three bags of fertilizer per hectare with the same mixture. “This innovation of applying seaweed as fertilizer empowers our farmers to have access to cheaper but highly effective plant growth enhancers that boils down to improved harvest and increased income,” Dr. Magsino said. Carrageenan is used in making ointments, as a stabilizing agent in frozen dairy products, and as texturing agent in toothpaste and powder. It is also used widely in many biotechnology and pharmaceutical products. What made CPGR valuable is that it also promotes resistance to rice ‘tungro’ virus and bacterial leaf blight, two of the worst problems rice farmers have to face. As a result, farmers can obtain increased harvest. Studies conducted have also shown that spraying the CPGR enhanced the presence of friendly insects such as ladybird beetles and spiders that help control harmful insects like the grown plant hoppers and green leaf hoppers that are carriers of the diseases and spread them to healthy plants. But it’s not only in agricultural production that seaweeds find their other niches. Even in medical science, they can be of great help. Perhaps not too many Filipinos ever heard of seaweeds of helping a person to have a voluptuous and healthy body, according to Dr. Montaño. But how come? It’s because seaweeds contain fucoxanthin, a pharmacologically active carotenoid commonly distributed in brown algae. The bioactive product is reportedly being developed into a slimming supplement or a drug that targets harmful fat. During his lecture, Dr. Montaño said that in obese animals, the compound appeared to stimulate protein called UCP1 “which causes fat to be broken down.” The pigment (in the form of fucoxanthinol), he further explained, also caused the liver to produce DHA, which can help cut levels of bad cholesterol associated with obesity and heart disease. In a new human clinical trial, a patent-pending extract of fucoxanthin showed promising results for fat loss in humans. “By stimulating the expression of UCP-1 gene in white adipose tissues, fucoxanthin promotes thermogenesis (fat burning) in white fat cells. No jitters, loss of sleep, or stimulation side effects since the thermogenic effect is achieved without stimulating the central nervous system,” Dr. Montaño explained. Fucoxanthin also acts as an antioxidant and inhibits GOTO cells of neuroblastoma and colon cancer cells. It has beneficial effects on chemoprevention of cancer and also inhibited the development of intestinal carcinogenesis in animal experiments. “Fucoxanthin induced apoptosis of human leukemia HL-60 cells and reduces viability of prostate cancer by inducing apoptosis,” Dr. Montaño said. 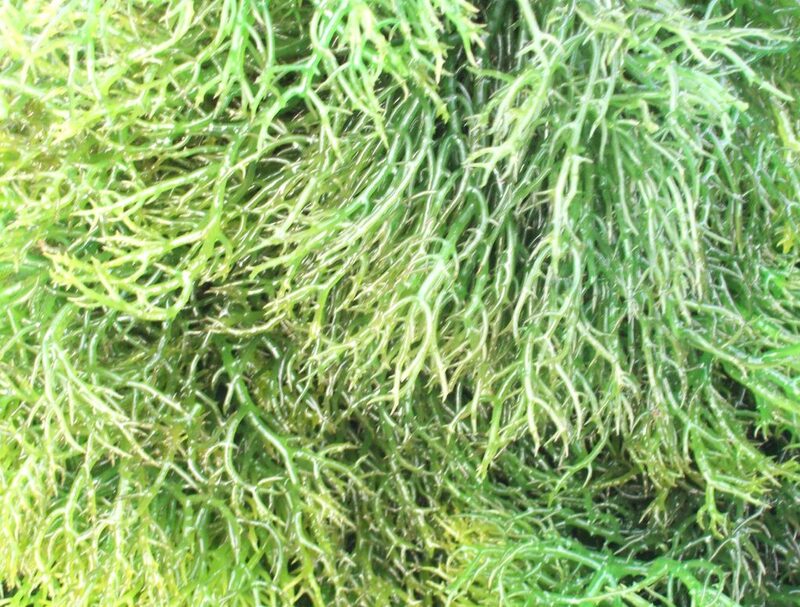 Another bioactive product present in seaweeds is fucoidan, sulfated polysaccharide from brown algae known for its ability to act as an anti-contraceptive and reduce cholesterol levels. 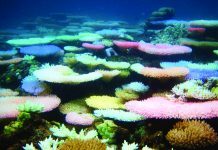 Fucoidan also has anti-cancer and anti-thrombotic traits and can also be used as an anti-tumor agent and against the white spot syndrome virus. Speaking of cancer, the DOST released the finding of a study which said that certain species of seaweed thriving in the country’s water may have anti-cancer benefits. “Researchers from the University of Santo Tomas found that polysaccharides extracted from Codium species, locally known as ‘pukpuklo’ (a seasonally-available seaweed), are effective against cancer cells and destructive enzymes associated with cancer metastasis,” said a press statement released by DOST. 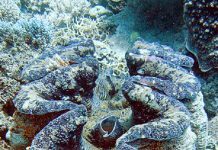 The Codium species used in the study were collected in Ilocos Norte, Aklan, Iloilo, and Cagayan province. “Pukpuklo,” a favorite Ilokano dish, is known as a good source of dietary fiber, amino acids, and minerals. However, little is known about its medicinal value and further studies have yet to be conducted to explore its use in the field of medicine. Last year, the medical research was also on the limelight when Dr. Annabelle V. Briones shared her study showing the possibility of carrageenan as a valuable agent in gene delivery/therapy. Dr. Briones, in conducting her study, used those extracted from red seaweeds (particularly the Eucheuma variety). Gene therapy is a method of introducing new genetic material (DNA) into the diseased cells of an individual with the intention of producing therapeutic benefits for the patient. This kind of therapy has been around for decades, but scientists have seen little success with this technology because gene transfer is a very delicate and complicated process. In her study, Dr. Briones found that carrageenan, specifically the iota type, may be used as a potential gene delivery vehicle when it was tested as a “coating” material for DNA in cultured cells (in vitro). According to her, the coating made from the iota carrageenan was able to protect the DNA as it remains stable and viable during the gene transfer process. She added that the iota carrageenan has the highest transfection efficiency compared to the other two types of carrageenan, the kappa and the lambda. The iota carrageenan has the “best release capability” of the DNA material into the target cells, said Dr. Briones, who was given an Achievement Award (Chemical Sciences Division) by the National Research Council of the Philippines in 2016. 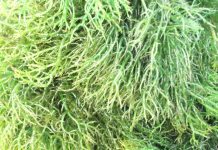 Seaweeds are marine plants that grow abundantly in shallow reef flats and in lagoons with a water depth of less than two meters at high tide. They differ from plants because they lack the stems, leaves, roots, and vascular systems that are common in higher plants. Technically, seaweeds are “multicellular” forms of algae and are classified into three main divisions: brown algae, red algae, and green algae. Brown algae, commonly called “kelp,” are the largest variety. Pacific species can reach 65 meters in length and have structures that superficially resemble leaves and stems. On the other hand, red algae are composed of several species, including the Irish moss. They are abundant in clear tropical waters. Meanwhile, green algae – which are sometimes called “sea lettuce” – are commonly seen at low tide, along rocky shores in northern seas. But like any agribusiness ventures in the country, the seaweed industry has its own shares of problems. One of these is the erratic fluctuation in production caused by inefficient marketing and unstable buying and pricing policy of traders. The Philippines also stands to lose a significant share of the world market as buyers complain of poor quality seaweed being produced in the country. Production of seaweed is also beset with problems. 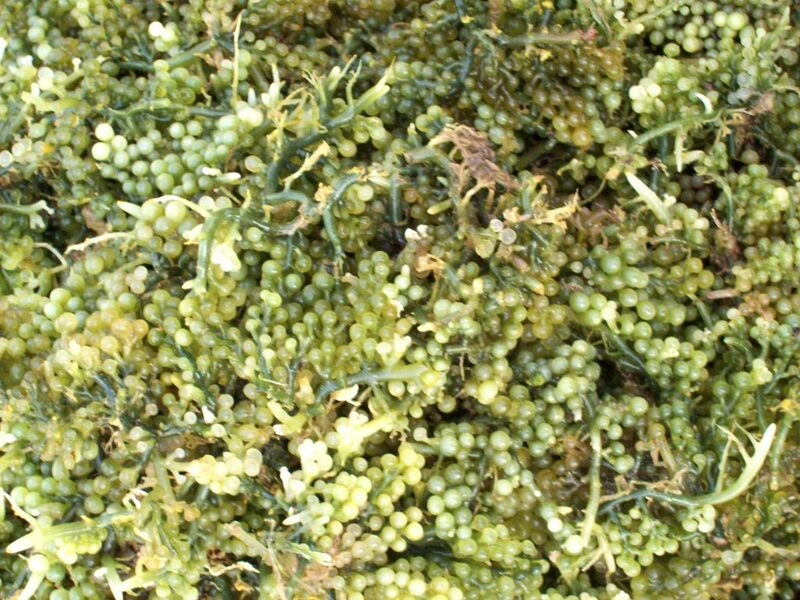 Productivity of farmed seaweeds has been declining due to predator grazing, the so-called ice-ice phenomenon, ‘aging effect’ and negative growth rates as well as crop losses due to typhoons. Lack of quality seedlings or planting materials also hampers the expansion of farm sites. Another reason for lower seaweed production in the country is due to climate change. The ideal temperature for seaweed is below 26 degrees Celsius but in recent years the temperature at the seaweed farms has gone above 26 degrees Celsius. As such, seaweed production has declined by as much as 50% in some areas in the country.